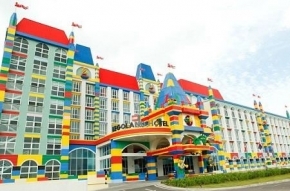 LEGOLAND Malaysia is packed full of family fun with more than 40 rides, shows and attractions within the 7 themed areas of attractions. It’s an inspirational land where the children are the heroes. From LEGO® experiment centers to roller coasters, the park is a day-long voyage of discovery for all the family. From lands of myth and legends to bustling cities and world-renowned buildings recreated in the scale of 1:20, you’ll feel like living the life of an adventurer from different eras. Bring your family for a fun-filled holiday and get a luxurious stay in the 5-Star KSL Resort or Grand Paragon Hotel.